The Gaslight Anthem will headline a show at Dublin’s Olympia Theatre in June 2015. Tickets, priced €29.50, go on sale Friday, 19th December. 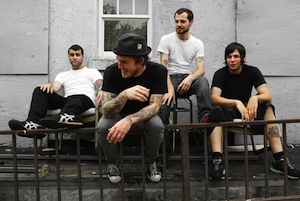 The Gaslight Anthem released their highly-anticipated new album ‘Get Hurt’ in August that included ‘Rollin’ and Tumblin’ as the first single.